If you believe hearing loss only happens to older people, you may be shocked to learn that today 1 out of every 5 teenagers has some extent of hearing loss in the US. Additionally, the rate of hearing loss in teenagers is 30 percent higher than it was in the 1980s and 90s. 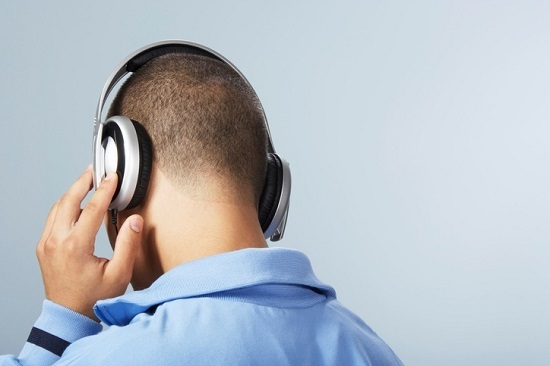 It should come as no surprise then that this has captured the interest of the World Health Organization, who in response produced a report notifying us that 1.1 billion teens and young adults worldwide are at risk for hearing loss from harmful listening habits. Those dangerous habits include participating in deafening sporting events and concerts without hearing protection, along with the unsafe use of earphones. But it’s the use of earphones that could very well be the most significant threat. Consider how frequently we all listen to music since it became mobile. We listen in the car, on the job, at the gym, and at home. We listen while out for a stroll and even while falling asleep. We can incorporate music into nearly any aspect of our lives. That quantity of exposure—if you’re not cautious—can slowly and quietly steal your hearing at an early age, resulting in hearing aids down the road. And given that no one’s prepared to forfeit music, we have to determine other ways to safeguard our hearing. Luckily, there are simple precautions we can all adopt. The following are three essential safety guidelines you can make use of to preserve your hearing without sacrificing your music. Any sound louder than 85 decibels can cause permanent hearing loss, but you don’t need to buy yourself a sound meter to measure the decibel level of your music. Instead, a useful general guideline is to keep your music player volume at no higher than 60 percent of the maximum volume. Any higher and you’ll most likely be above the 85-decibel threshold. In fact, at their loudest, MP3 music players can pump out more than 105 decibels. And since the decibel scale, like the Richter scale, is logarithmic, 105 decibels is approximately 100 times as intense as 85. Another tip: normal conversation registers at about 60 decibels. Therefore, if while listening to music you have to raise your voice when conversing to someone, that’s a good indication that you should turn down the volume. Hearing injury is not only a function of volume; it’s also a function of time. The longer you subject your ears to loud sounds, the more extensive the damage can be. Which brings us to the next rule of thumb: the 60/60 rule. We previously suggested that you keep your MP3 player volume at 60 percent of its max volume. The other component is ensuring that you limit the listening time to under 60 minutes a day at this volume. And keep in mind that lower volumes can handle longer listening times. Taking regular rest breaks from the sound is also crucial, as 60 decibels uninterrupted for two hours can be a great deal more damaging than four half-hour intervals distributed throughout the day. The reason most of us have a hard time keeping our music player volume at less than 60 percent of its max is a consequence of background noise. As environmental noise increases, like in a busy fitness center, we have to compensate by boosting the music volume. The solution to this is the usage of noise-cancelling headphones. If background noise is lessened, sound volume can be limited, and high-quality music can be enjoyed at lower volumes. Lower-quality earbuds, on the other hand, have the twin disadvantage of being closer to your eardrum and being incapable of repressing background noise. The quality of sound is diminished as well, and coupled with the distracting external sound, increasing the volume is the only way to compensate. The bottom line: it’s well worth the money to spend money on a pair of premium headphones, ideally ones that have noise-cancelling functionality. That way, you can stick to the 60/60 rule without compromising the quality of your music and, more importantly, your hearing down the road.